Whether your room requires a wall, window, roof or inline exhaust fan, Kenner Electrics is here to provide you with professional advice and customised recommendations. This is the classic Australian exhaust fan, found in bathrooms throughout the country. It’s very cost effective and it does its job well. 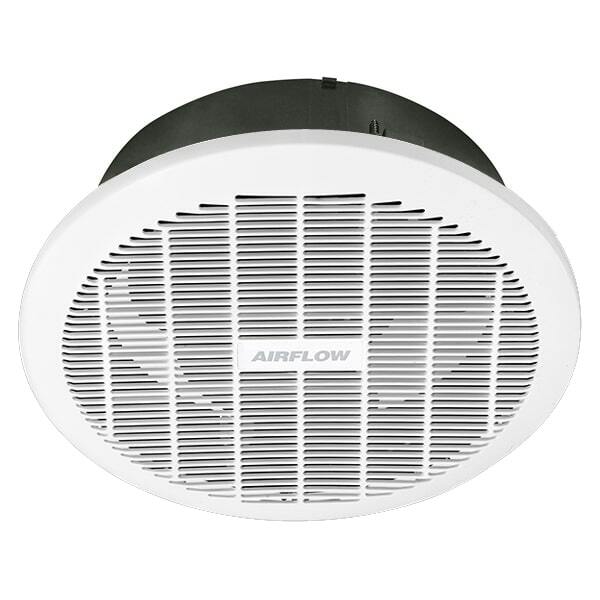 Ceiling vented exhaust fans operate by venting the air directly into the roof space. This works very effectively when the roof is tiled and there are enough gaps in the tiles to allow proper ventilation. However, in other types of roofs such as flat roofs or corrugated iron roofs, there may not be enough airflow to prevent the build-up of moisture in the roof space. In these instances, Kenner Electrics recommends installing a ducted fan which is ducted directly to the outside (rather than into the roof space). This will help to avoid moisture issues in the bathroom and roof space. Additionally, ceiling exhaust fans are often not sealed so dust and debris from the roof space can fall through the fan into the room below. It also means that you will lose heat in winter and gain heat in summer as the hole in the ceiling is open to the roof space. A solution is to install backdraft shutters on the exhaust fan to prevent the backflow of air and dust from the roof space. Some ceiling exhaust fans come with this feature, or it can be installed on existing fans. Does your home have a solid concrete ceiling, or no ceiling cavity? Typical ceiling exhaust fans will not have adequate ventilation in these circumstances, so a wall exhaust fan might be the best option for your room. 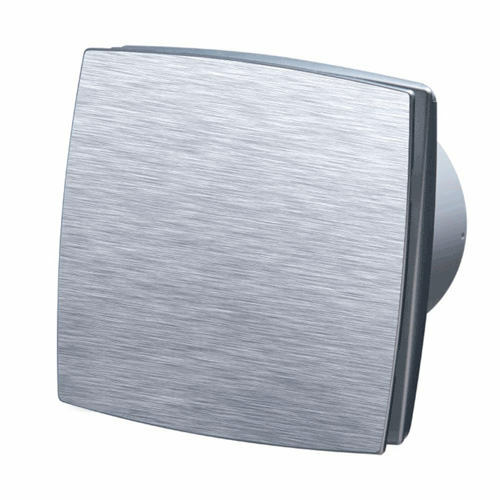 Wall exhaust fans can come with a pull switch, or can be wired to a regular switch. In situations where your bathroom doesn't suit a ceiling fan or even have space for a wall fan, then a window fan might be the only option. 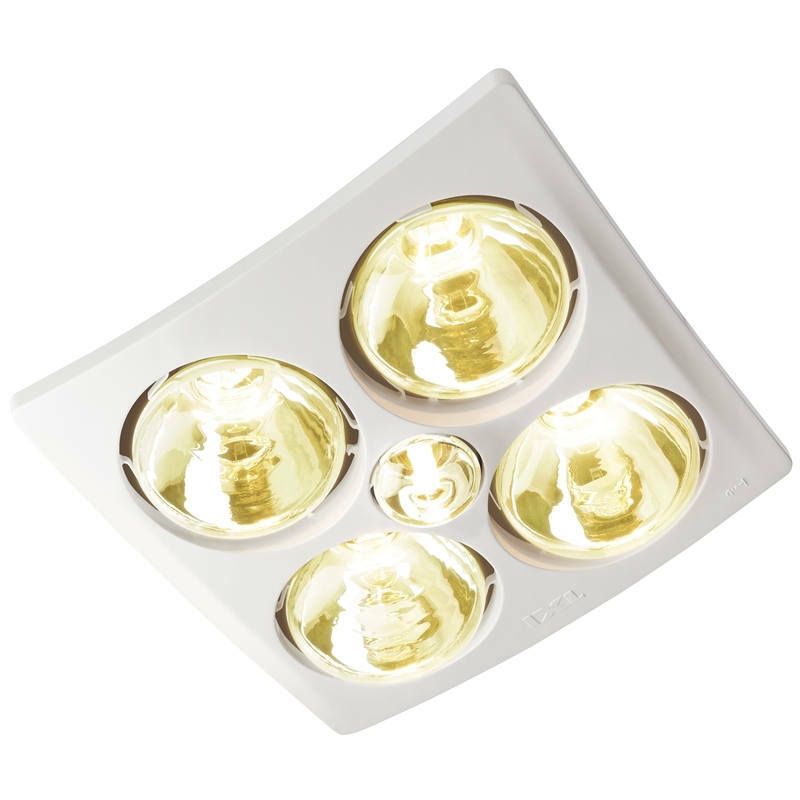 These fans are installed in the glass window panel and are vented directly to outside. As the exhaust fan is in a glass panel, there will be an unavoidable visible power cable running to the fan. 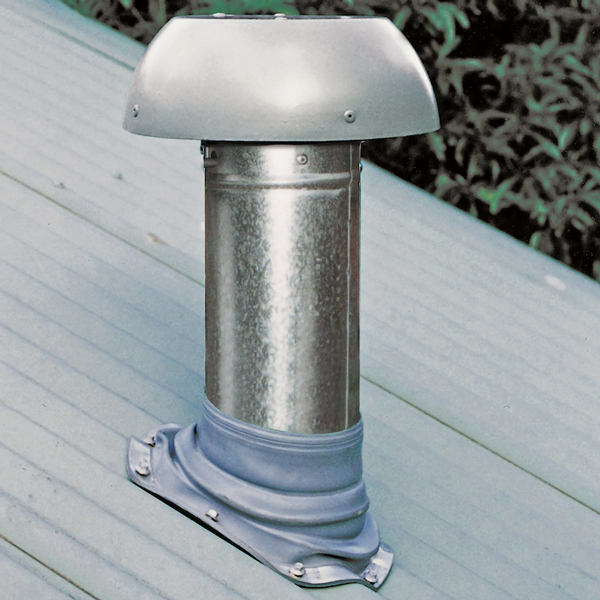 Window exhaust fans can come with a pull switch, or can be wired to a regular switch. One thing to note is that alterations to existing glass panels will require a glazier to cut a hole for the exhaust fan. Some types of glass (such as safety glass, frosted glass or textured glass) may require complete replacement as they cannot be cut once they are installed. 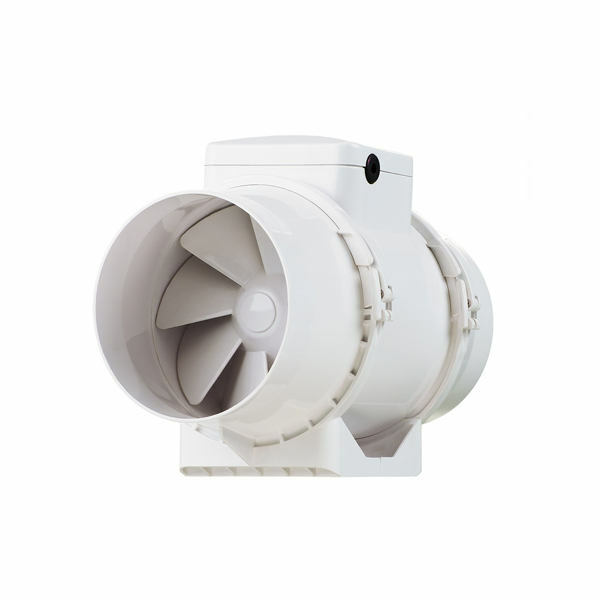 Inline exhaust fans allow the fan motor to be installed separately to the vent/s. This means you can have a single exhaust fan that vents multiple rooms, such as a bathroom and laundry, or toilet and shower room. In situations where a single inline exhaust fan is connected to vents in multiple rooms, there can be a switch in each room to operate the fan. If wired correctly, any switch will turn on the fan but the fan should not turn off unless ALL switches are turned off. This is to ensure that the exhaust fan is not accidentally turned off from one room when it is still required in another room. Another great use for inline exhaust fans is with ‘Heat Transfer Systems’. 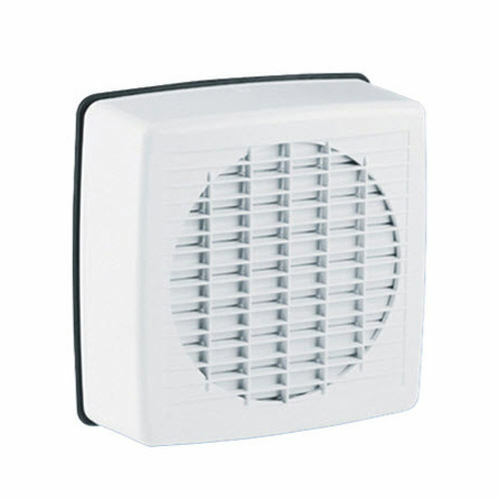 An inline fan can be used to transfer hot air from one room with a heater to a different room (eg. from a living area to a bedroom). This can be cheaper both to install and to run than having a second heater or air-conditioner installed. If you have a cathedral ceiling, flat roof, or other area where there is no roof space to install a ceiling exhaust fan, then an externally mounted roof fan may be the best option for you. Roof mounted exhaust fans come in many different sizes and capacities and are even a useful solution for custom rangehoods or outdoor BBQ rangehoods. For customised advice or professional recommendations on an exhaust system to suit your home, contact Kenner Electrics.